Very nice! That young lad looks happy! Great work, yes, hooked for sure they will,be ! Looks like you guys had a great time and have some great photos to remember it by. 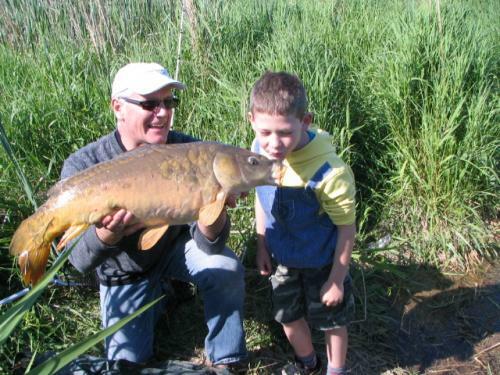 Nice job getting the little fella into fishing. I'm betting he'll never forget it! 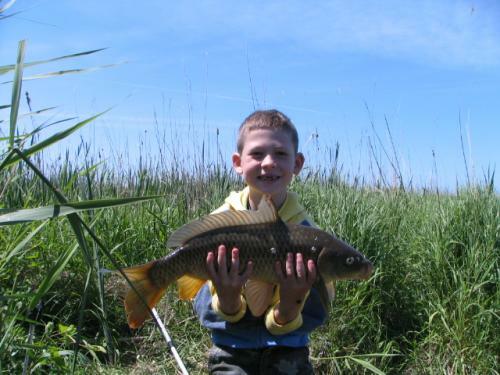 I love the look of that partially scaled carp. A real beaut! Love that mirror and the smile on the boys face!